Learn how to prevent web browsers on Mac from being redirected to search.anysearch.net or search.anysearchmac.com due to a persistent malware infection. The browser hijacking plague has been making itself felt in the Mac world lately like no other malware-backed campaigns. It makes users perplexed why they can no longer customize their Internet navigation and visit the pages they want instead of something imposed without even a hint of approval. 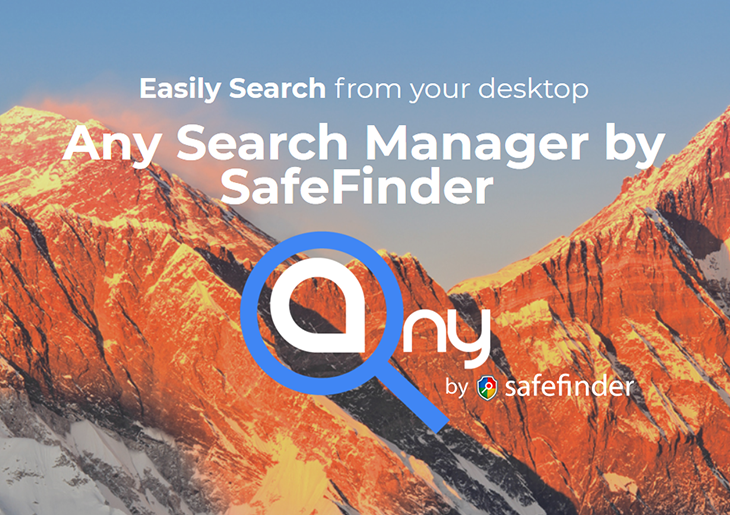 Any Search, AnySearch 1.2.3 or Any Search Manager, is one of the most common junkware entities from this category wreaking havoc over the past few months. It causes Safari, Chrome and Firefox, if installed on a host computer, to resolve an unwanted web page. The landing page in this scenario can vary – some users report being rerouted to search.anysearch.net, while others keep seeing search.anysearchmac.com in their URL bar. There are some noteworthy ties of this hijack malware with other notorious Mac threats. One of them is Safe Finder, a cradle of malicious objects that tweak people's web surfing parameters to play into its proprietors' hands. Another one is Advanced Mac Cleaner, an aggressive pseudo optimization tool for Mac that displays misleading issue detection reports in order to dupe users into purchasing its license. The connection of the latter with Any Search malware can be concluded from victims' feedback on security forums where they post logs indicating the presence of Advanced Mac Cleaner on infected systems. This isn't likely to be a coincidence – moreover, rogue optimizers and bogus antispyware programs are known to propagate alongside extra culprits like browser hijackers. As is the case with most adware and other browser-borne baddies, the source of the AnySearch contagion mainly comes down to bundling. It designates a practice of cross-promoting opportunistic malicious code as part of an installation client for some regular benign software. The pest in question typically makes the rounds by dint of booby-trapped Flash Player installs hosted on uncertified websites. This fact additionally emphasizes the importance of using official application portals when downloading and installing programs. When the Any Search virus infiltrates a Mac this way, it has sufficient privileges to make system-level changes on the machine. That’s because the tricky setup client includes a one-for-all agreement option, where the would-be victim opts into the terms of the good software while also unknowingly accepting those for the bad company. Consequently, Any Search uses its permissions to mutilate web browser settings. The affected values include the homepage, preferred search engine and new tab page. All of these start defaulting to search.anysearch.net or search.anysearchmac.com – obviously, without the victim’s consent. This perpetrating code is cross-browser, so it will hit all web browsers running on the host. Ultimately, everyone who encounters the Any Search virus ends up looking for a way to get rid of it. This task isn’t as trivial as removal of the average Mac app. The entirety of information regarding Any Search uninstall techniques is provided in the following sections of this post. Be sure to use these steps for a thoroughgoing cleanup process. When confronted with malicious code like the Any Search virus on Mac, you can neutralize its toxic impact by leveraging a specially crafted system utility. The Freshmac application (read review) is a perfect match for this purpose as it delivers essential security features along with must-have modules for Mac optimization. This tool cleans unneeded applications and persistent malware in one click. It also protects your privacy by eliminating tracking cookies, frees up disk space, and manages startup apps to decrease boot time. On top of that, it boasts 24/7 tech support. The following steps will walk you through automatic removal of the Any Search Mac infection. 4. Check whether the browser redirect problem has been fixed. If it perseveres, go to the Uninstaller option on Freshmac GUI. Locate an entry that appears suspicious, select it and click Fix Safely button to force-uninstall the unwanted application. 5. Go to Temp and Startup Apps panes on the interface and have all redundant or suspicious items eliminated as well. The Any Search malware shouldn’t be causing any further trouble.